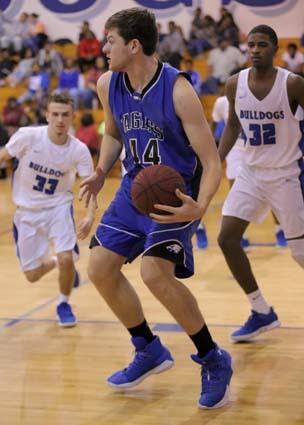 ST PAULS – A 27-6 fourth-quarter spurt propelled St. Pauls to a 72-46 Three Rivers Conference boys basketball victory over East Bladen Tuesday night. Sophmore center Javant McDowell worked inside for 4 baskets, and sophmore Freddy Wooten drilled in a 3-point shot and 2 more baskets during an 18-12 third period rally that pulled the Eagles to within 45-40 at the quarter break. 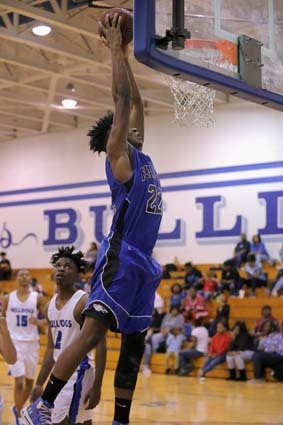 Wooten sank 3 free throws in the final period, and McDowell dropped in a basket, but Jadakyss Glover-Graham tossed in 6 points, and William Ford and Zarron Glover added 4 points each to lead the Bulldog closing run. 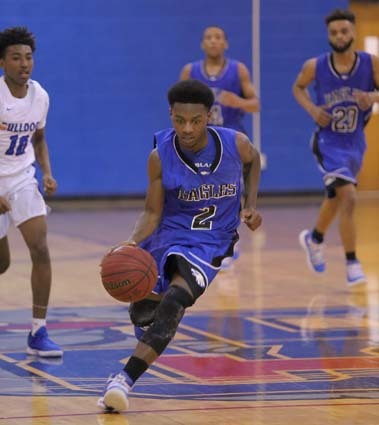 Senior Isaiah Davis led the St. Pauls scoring with 15 points, and junior teammates Caleb Henderson, Emonta Smith and Erikison Emanuel scored 9 points each. 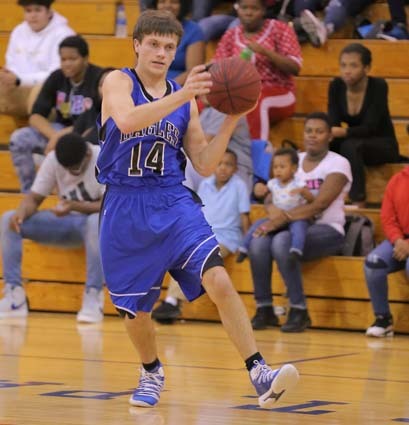 McDowell topped all scorers for East Bladen with 20 points. Senior Darrell Banks pumped in 11 points, and Wooten followed with 10 points. Banks nailed a 3-point shot, and McDowell powered inside for a bucket in the opening period, but Henderson and Davis combined for 11 points to spark the Bulldogs to a 13-5 lead. Davis knocked down a pair of 3-point shots and another basket in the second quarter, and Emanuel netted a pair of baskets as the Bulldog lead grew to 33-22 at halftime. McDowell worked the paint for 4 baskets in the second quarter, and Banks delivered 3 more baskets to keep the Eagles close. 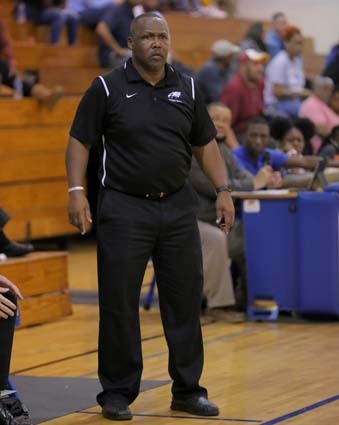 East Bladen will celebrate Senior Night Friday night when the Eagles host East Columbus. 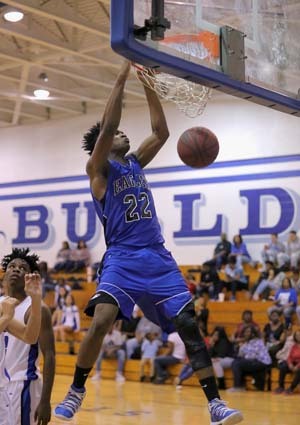 EAST BLADEN (46) – Keshaun Davis 2, Greyson Heustess 1, Bryon Bowen 1, Javant McDowell 20, Juwan Baldwin, Freddy Wooten 10, Tyshawn Berkeley 1, Darrell Banks 11, Robbie Cooley, Corey McKoy, Rashard Willis.